Nostalgia Electrics is dedicated to providing its customers with quality ice cream makers that fit the lifestyle needs of busy parents, families, and groups on a budget. Those that are looking for a great value and introductory machine should take a good long look at Nostalgia Electrics. For less than $30 for some models it is amazing how many satisfied customers they have. This easy to use electric ice cream maker can be stored in even the smallest of kitchens. A lot of ice cream makers have larger capacities that are not always desirable for smaller homes or those with just a few people in the household. Nostalgia Electrics makes machines that can make amounts that range from 1 pint to 6 quarts. This makes it a lot easier to get a machine that suits the needs of your home and lifestyle. Smaller machines are easier and quicker to clean and allow those that want to make a lot of different varieties of frozen desserts to not feel like they need to make a ton at once. Nostalgia has different product lines of ice cream makers that are a blast to the past. If you want a retro look then Nostalgia is the ice cream maker company for you. This maker would make a great gift for a birthday or other special occasion. The economical price tag means you have little to lose and with Amazon’s great return policy you can rest assured that any issues will be dealt with promptly. A plastic bucket and aluminum dasher and canister means this ice cream maker is lightweight and easy to move around, making it a good choice for kids. At this price point many would expect the machine to only work for a brief period of time but others report that they are still making ice cream a year after purchase with no problems at all. Some users recommend getting a separate container to store ice cream in rather than the canister it comes with. This allows you to make a lot of ice cream at once and store multiple flavors. Making ice cream ahead means you can prepare for a larger gathering or party. If you want to try out an ice cream fundraiser for your group, then this is a good model to start with without investing several hundred dollars before you are sure it is worth your groups time. Many groups do find that ice cream does bring out a crowd and it is a fun way to raise funds and awareness. This model sports a real wooden slat bucket but it is lined with high quality plastic for durability and to eliminate any rust issues that have been known to be a problem in wooden bucket ice cream makers. If you want a machine that looks old fashioned this is a good machine to consider. Those that want a vintage look with the modern convenience of an electric motor should take a long hard look at this machine. This maker has a clear lid so it is easy to observe the ice cream being made. You can check on how thick the ice cream is without having to lift a lid or dirty any spoons. Many people make a large batch of a base flavor and then add toppings later to create a lot of different flavor combinations. For those that are looking for a smaller ice cream maker there is the Nostalgia Electrics 2-quart model. With its old fashioned charm, it has all the looks of a much more expensive or antique model but costs less than $40. The 2-quart size may seem small compared to a lot of the other Nostalgia models but to put it into perspective, this machine will produce 16 regular sized servings of ice cream at once so it is plenty big enough for an average size family that wants to try making ice cream and other frozen treats at home. The plastic bucket is covered with real wood planks for an authentic old time look. A typical Nostalgia touch is the see through lid so you can check on your ice cream progress at all stages without any mess or fuss. Younger kids tend to get infatuated with the process so this makes it easy to include them without actually opening up the machine. The overflow drip hole in the back of the bucket helps catch messes before they reach the countertop. This ice cream maker is very lightweight for the high quality you are getting. At less than 5 lbs. it is easy to find the space or move this maker around wherever you need it. The Old Fashioned Ice Cream Maker is really an outstanding value for what you get. 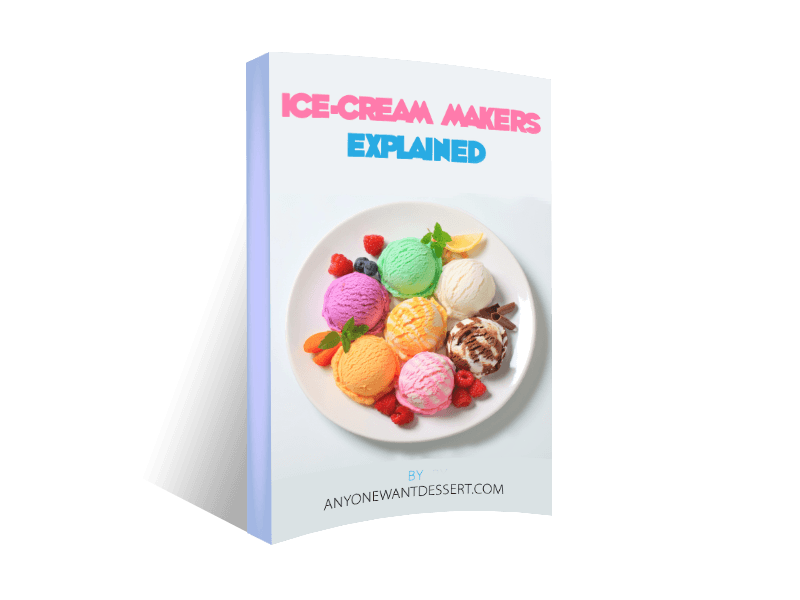 If you have ever been curious as to what homemade ice cream, frozen yogurt and custard, and sherbet tastes like then this is an excellent machine to get you started on your culinary journey. Nostalgia makes a lot of great ice cream machines so you may be having a hard time making your choice. Size is one of the biggest factors. There is little point in getting more machine than you need and if you have a small kitchen. Some people even choose to purchase multiple sizes for different occasions and needs.